Scott is a Managing Director of Empire Valuation Consultants and an Accredited Senior Appraiser (ASA) of the American Society of Appraisers. He has 18 years of experience managing and preparing business valuation engagements. His areas of expertise include the valuation of common and preferred stock, debt (including senior and subordinated debt, bonds and promissory notes), options/warrants, partnership and limited liability company interests and Level 3 assets for Compensation - Stock Compensation (ASC 718). Scott's experience also includes the valuation of various intangible assets, intellectual property and covenants-not-to-compete. Scott has extensive experience in the valuation of business assets and interests for purposes of corporate planning, estate and gift tax reporting, SEC reporting (including the allocation of purchase price among acquired intangible assets, goodwill impairment testing and fair value analyses), acquisition/sale, spin-offs/recapitalizations, employee stock ownership plans (ESOPs), buy-sell agreements, litigation and fairness opinions. He works with companies in all life-cycle stages, ranging from start-ups to large, mature corporations. He has managed and prepared business valuations for firms in a wide range of industries including, but not limited to, the following: aerospace, advertising, agriculture, alternative asset management, apparel and footwear, automotive, banking, biotechnology, chemicals, construction, engineering, environmental and waste management, financial services, furniture, healthcare, hedge funds, insurance, lodging, manufacturing, paper and forest products, private equity funds, publishing, real estate, restaurants, retail, oil/gas, software/technology and telecommunications. Scott has published articles and lectured on valuation topics to professional and educational organizations including the NYS Bar Association and the University at Buffalo School of Management. 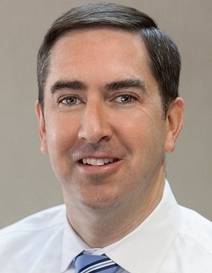 Prior to joining Empire, Scott worked at M&T Bank in commercial credit and portfolio management.